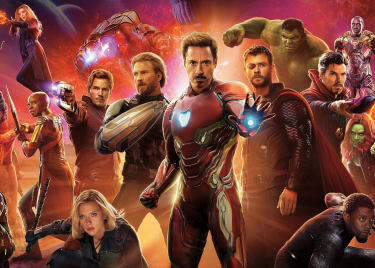 When the mighty Avengers faced off against Thanos (Josh Brolin) in last year’s AVENGERS: INFINITY WAR, a few familiar Marvel faces were missing from the fight. Hawkeye (Jeremy Renner) was one of the team’s founding members who sat out the battle, leaving many to wonder where he’d gone off to. And those people were equally shocked to see Renner sporting a whole new look in the AVENGERS: ENDGAME trailer. But those who read Marvel Comics on the regular know what’s going on. This is a character transformation that has been a long time in the making, so let’s discuss what’s happening with Hawkeye in April’s AVENGERS: ENDGAME. 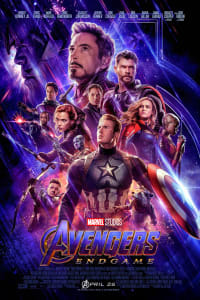 The following could be considered mildly spoilery, so if you really want to buy a ticket and head into AVENGERS: ENDGAME with no pregame knowledge, stop reading right now. Though it’s never spoken aloud in the AVENGERS: ENDGAME trailer, we believe that Jeremy Renner no longer will be playing Hawkeye in the next Marvel sequel. He will be playing Ronin. Ronin is an alias adopted by numerous characters in Marvel history. It’s used when the person in question wants to distance themselves from their heroic personality, because they are about to embark on a lone-wolf mission. They’re probably going to break a few laws. They might even act a little villainous. So, instead of tainting their good reputation, they slip into the Ronin persona and set off on discreet missions — usually ones of vengeance. Clint Barton (Jeremy Renner) was the second person in Marvel Comics history to switch identities and fight as Ronin. 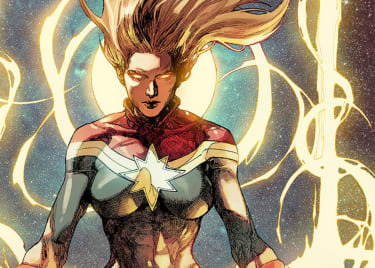 This occurred after the “Civil War” storyline from the comics. Ronin is usually described in the comics as a ninja or samurai, and those keywords speak a lot to why we associate Ronin with Hawkeye in the AVENGERS: ENDGAME trailer. For starters, there’s no sign of Barton’s signature bow and arrow in the brief clip where we see Renner. Also, he appears to be fighting off thugs in Chinatown and using his sleeve to wipe the blood of the fallen from his blade. But listen to the words that are spoken by Captain America right as Hawkeye/Ronin enters the frame. So, here’s a dark and depressing theory. Much like Scott Lang (Paul Rudd) in ANT-MAN AND THE WASP, we bet that Hawkeye was sent home to serve out house arrest. He was likely spending time with the wife and kids we met in AVENGERS: AGE OF ULTRON. And we’re willing to bet that most, if not all, of Hawkeye’s family turned to dust right before his eyes when Thanos snapped his fingers. And that’s what turned him from Hawkeye to Ronin. 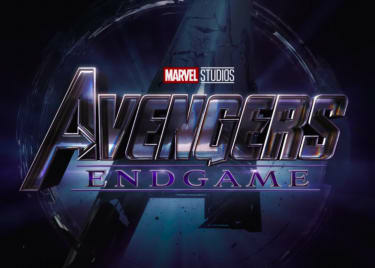 This remains speculation until we learn more about the plans Joe and Anthony Russo have for AVENGERS: ENDGAME. But there’s a very good chance that we see next to no new footage for the blockbuster, as Marvel Studios likes to keep things close to the vest. Either way, you should be ready to head to AMC theatres on April 26 to see how the story that began in AVENGERS: INFINITY WAR finally concludes.